In December, the Civil War Trust and Institute for Advanced Study announced a compromise to expand the Princeton Battlefield and provide additional housing for the Institute – ending a battle over the future of this historic site that dragged on several years. 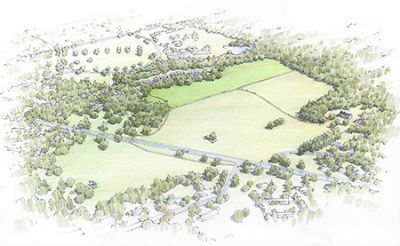 Rendering of Princeton Battlefield. Graphic from Civil War Trust. While the proposed project, which would have reduced a key Revolutionary War battlefield to new housing, fell beyond Maryland’s physical borders, Maryland soldiers fought for American Independence and shed their blood on the hallowed Princeton Battlefield. As a result, Preservation Maryland made the extraordinary decision to take a stand on this issue and formally announced their opposition to a project that would dishonor Maryland’s Revolutionary veterans. 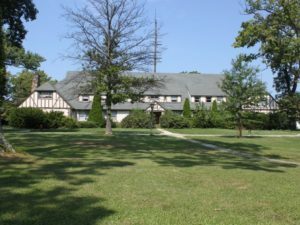 Under the latest plan, the Civil War Trust, through its Campaign 1776 initiative to protect Revolutionary War battlefields, will purchase 14.85 acres of land from the Institute for $4 million, to be conveyed to the State of New Jersey as an addition to the existing Princeton Battlefield State Park. 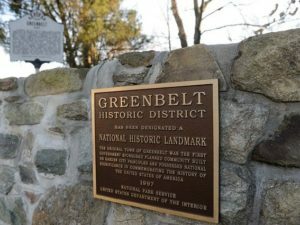 The acquisition includes approximately two-thirds of the Maxwell’s Field property in questions, along with an additional 1.12-acre tract north of the property that has been identified by historians as part of the battlefield.